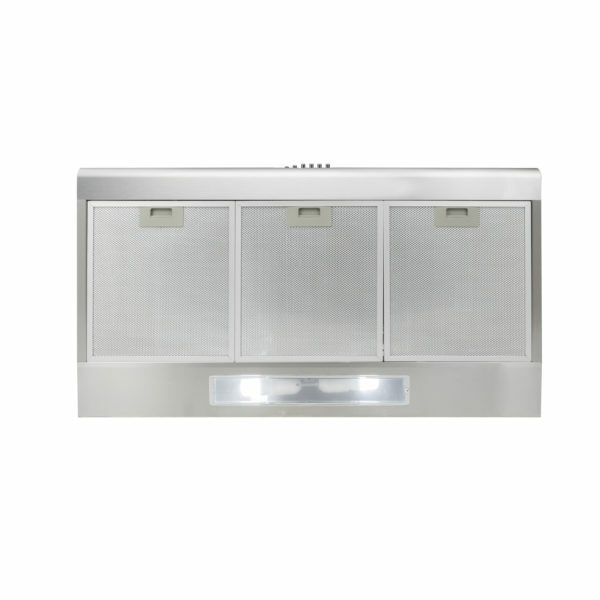 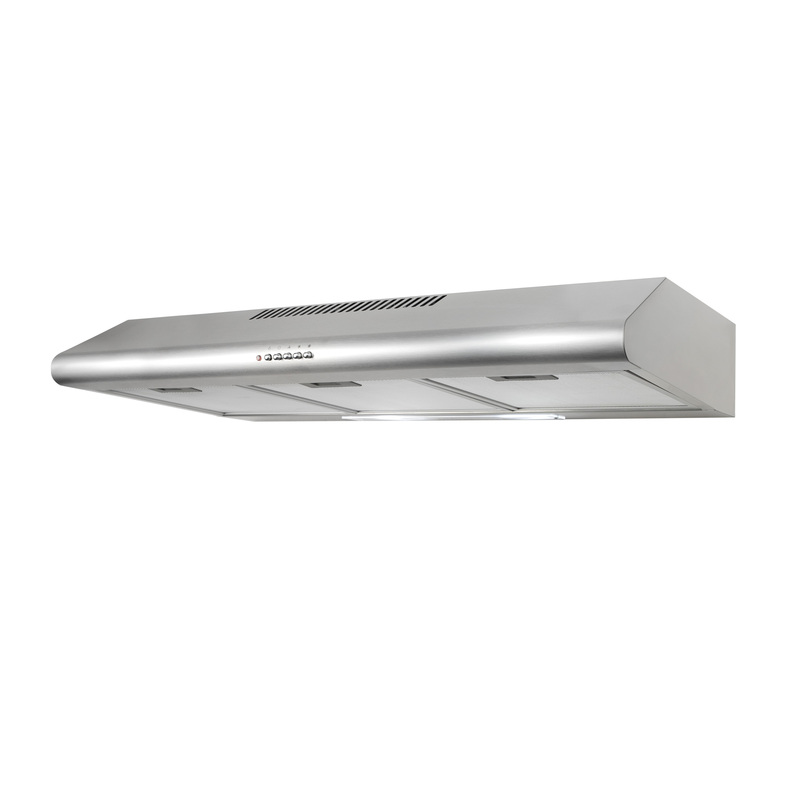 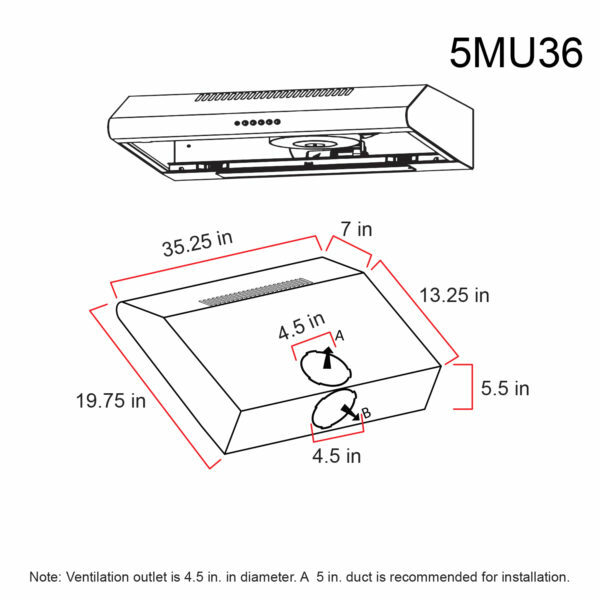 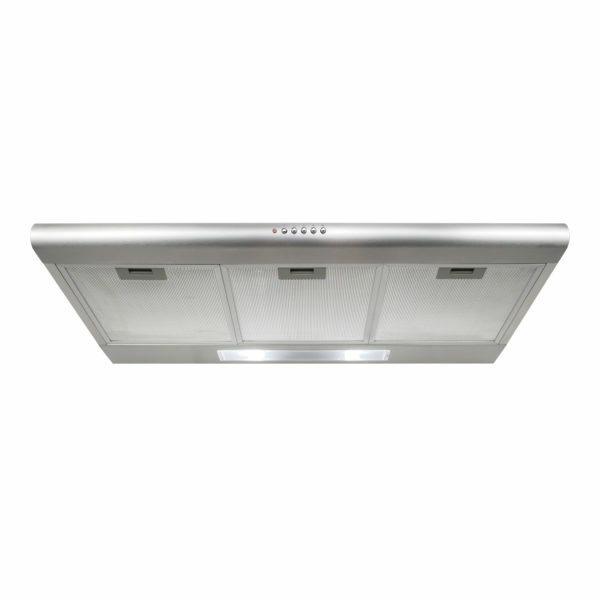 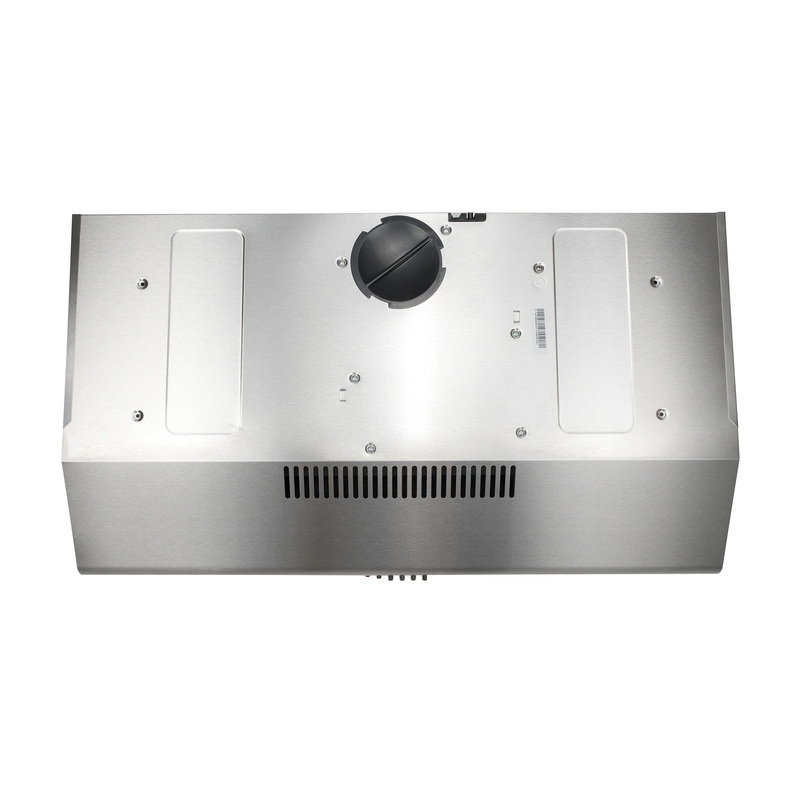 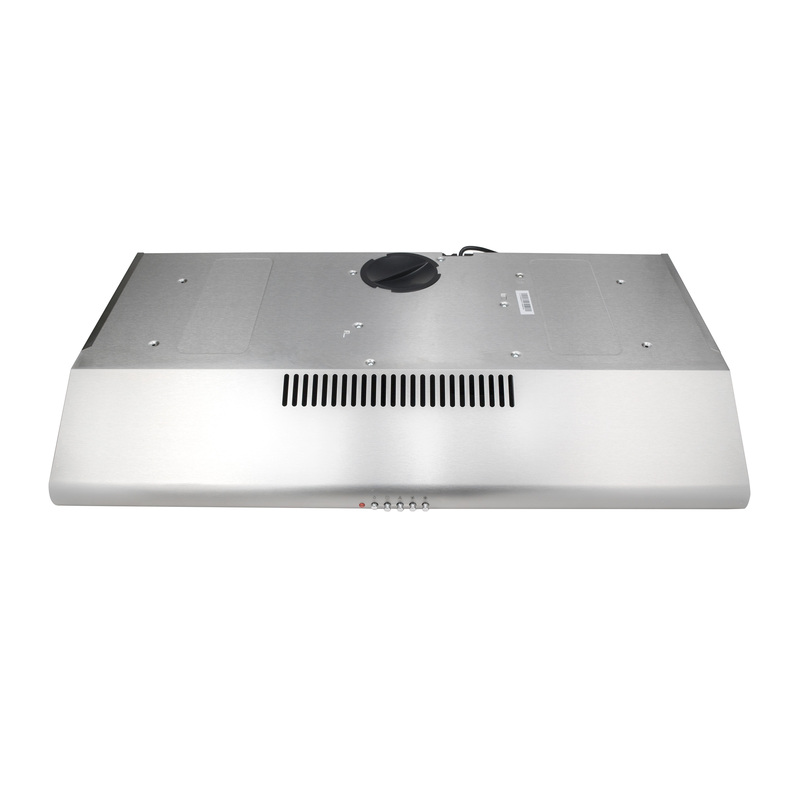 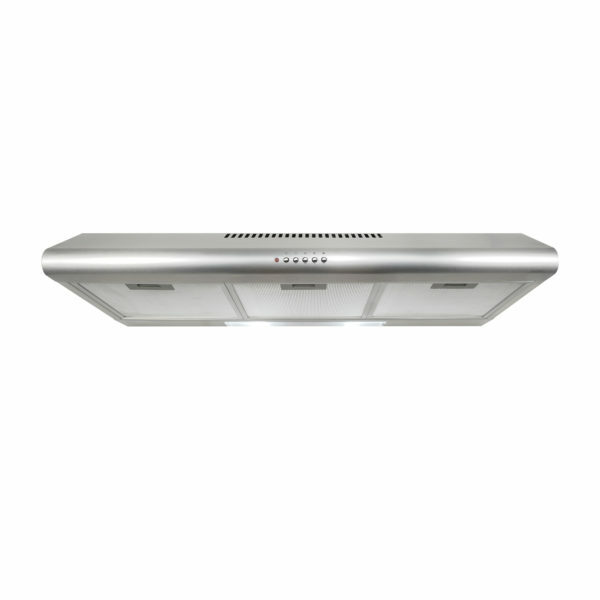 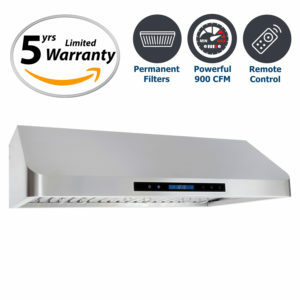 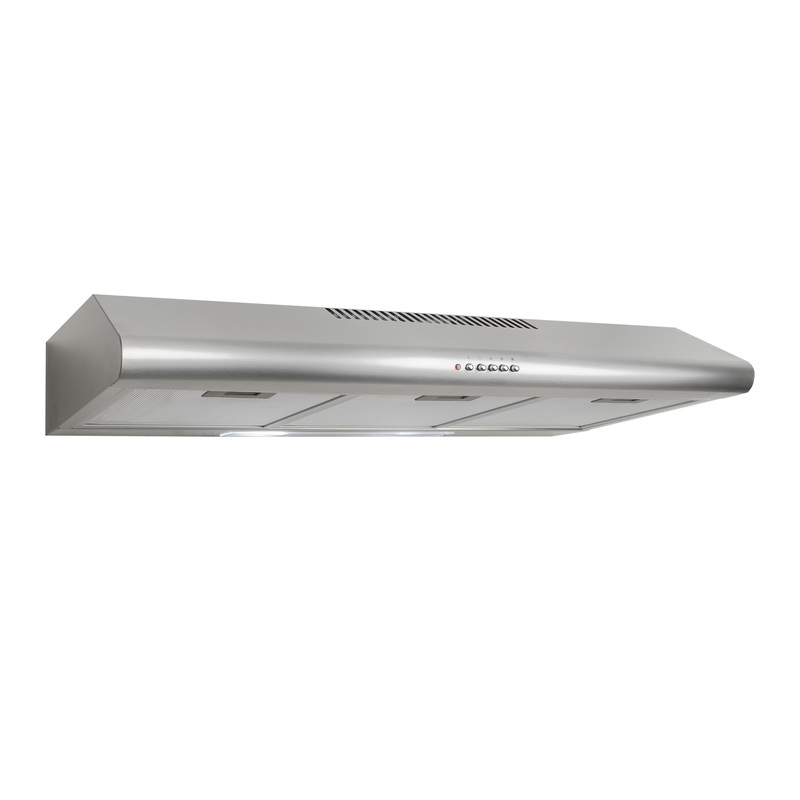 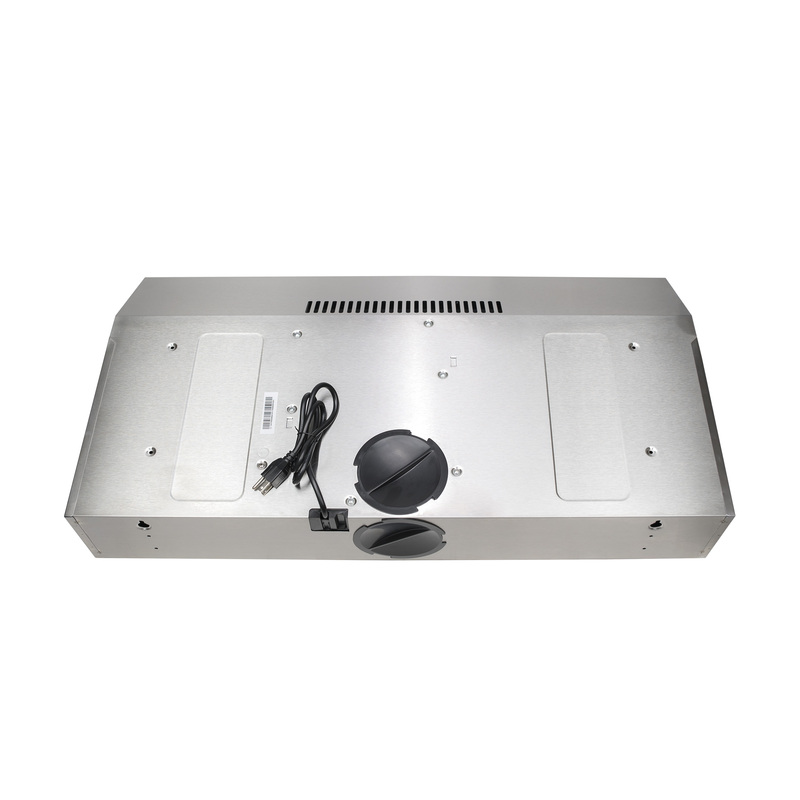 Cosmo’s COS-5MU36 36 inch under cabinet range hood in stainless steel delivers 200 CFM to vent out smells and odors from your kitchen with ease. 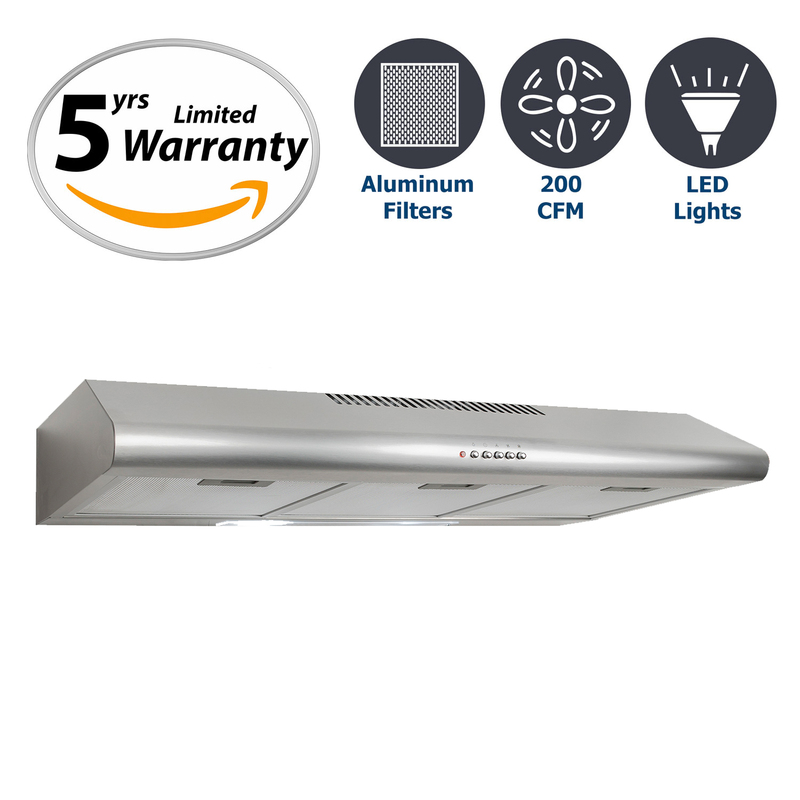 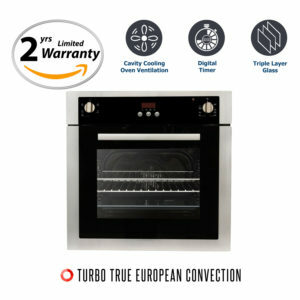 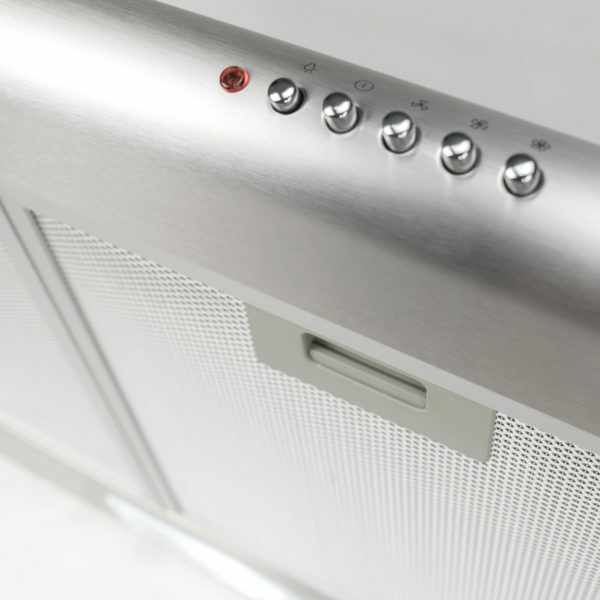 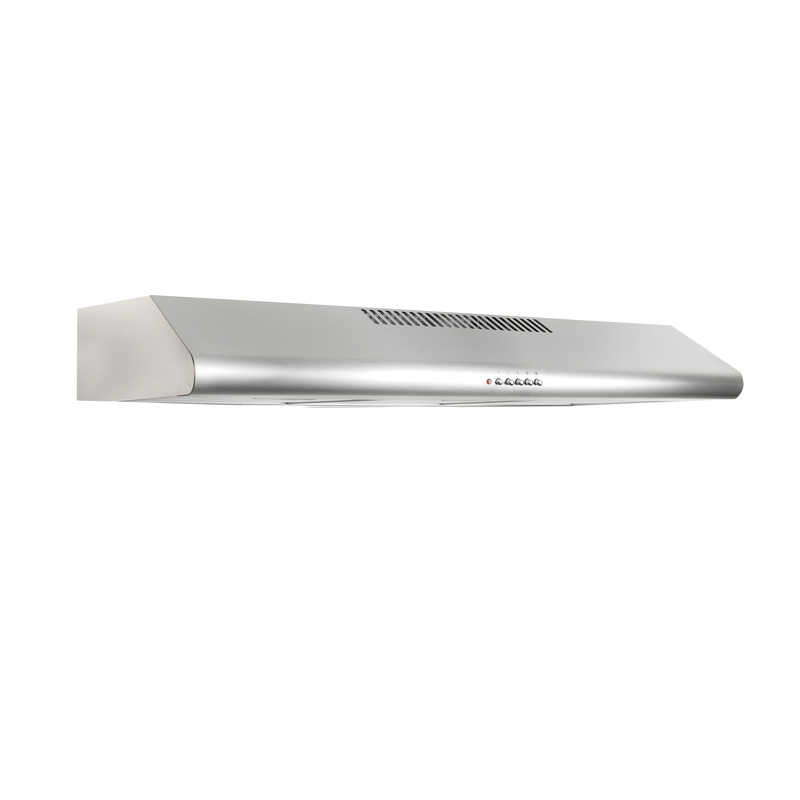 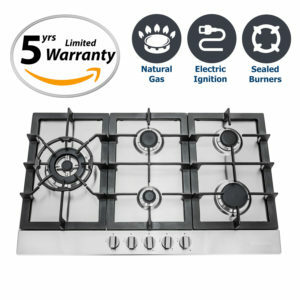 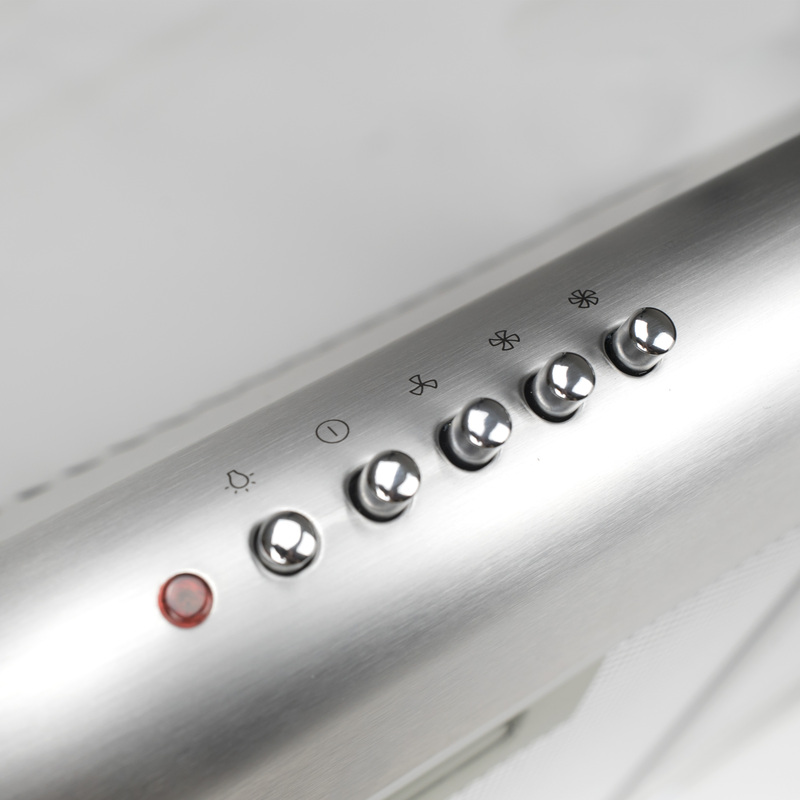 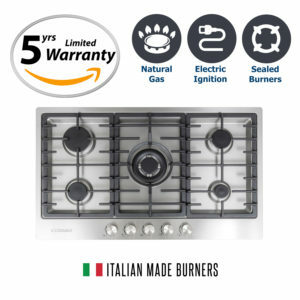 It features brushed stainless, 3 speed fan, energy-saving LEDs, and reusable aluminum mesh filters all designed in a modern European style body. 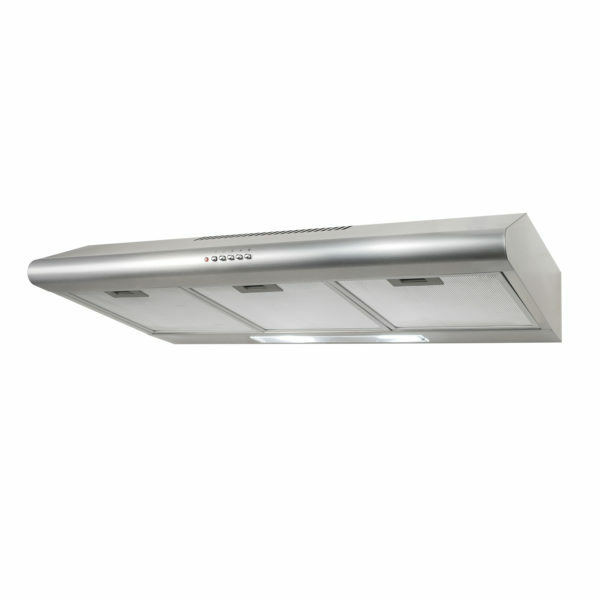 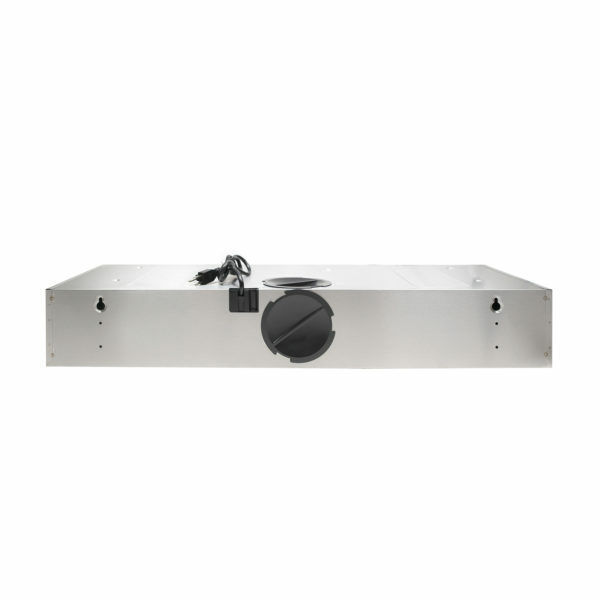 This exhaust fan vent is essential for any kitchen ventilation for the most demanding cooks. 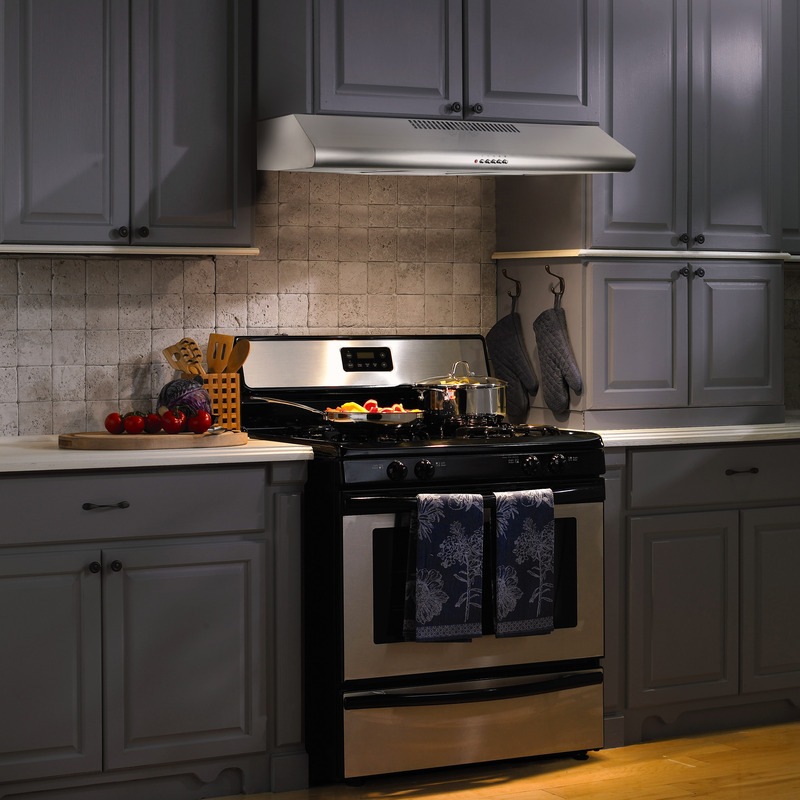 Two 3-watt LED lights help illuminate cooktop surface. E26 Type.